Thursday 20 October 2016, 1.00pm – 2.00pm. FREE ENTRY. On Thursday 20 October, enterprising schools in the Food Flagship borough of Croydon will be hosting their very own Schools Marketplace at the Croydon Clocktower. Their second local Schools Marketplace coincides with this Autumn term’s Grow Your Own Business activities which see schools all across London growing, harvesting, packaging, promoting and selling in their local communities. Don’t miss out on another exciting opportunity – the sixth FGSL Schools Marketplace at City Hall taking place on Thursday 13 October 2016, and our fantastic FGSL Celebration Event, hosted by the GLA in the prestigious London’s Living Room at City Hall on the same day. Visit our Training and Events page to find out about more school food growing and enterprise activities taking place near you this Autumn. This page is an archive. For latest information about the Food Flagship boroughs visit the Mayor of London website. The London boroughs of Lambeth and Croydon have each won c£600k to pioneer school-based & community projects to improve health and attainment, beating 20 other boroughs who applied. Announced by the Mayor of London, Lighter London, the ambitious projects will started in September 2014 and end in January 2016. Croydon – grants for community cooking and healthy eating projects; food growing on estates; food business start-up funds; cookery classes in the community; initiatives to reduce sugar intake by pupils. Lambeth – free school breakfasts; food growing projects linked to cooking lessons for children and parents; develop community food hubs in schools; launch fruit and veg voucher schemes in every borough children’s centre; redistribute food set to go to waste to families in food poverty. Food Growing Schools: London have been working with these boroughs to help them develop their school food growing programmes, working with the community. Read the Guardian and Evening Standard articles. 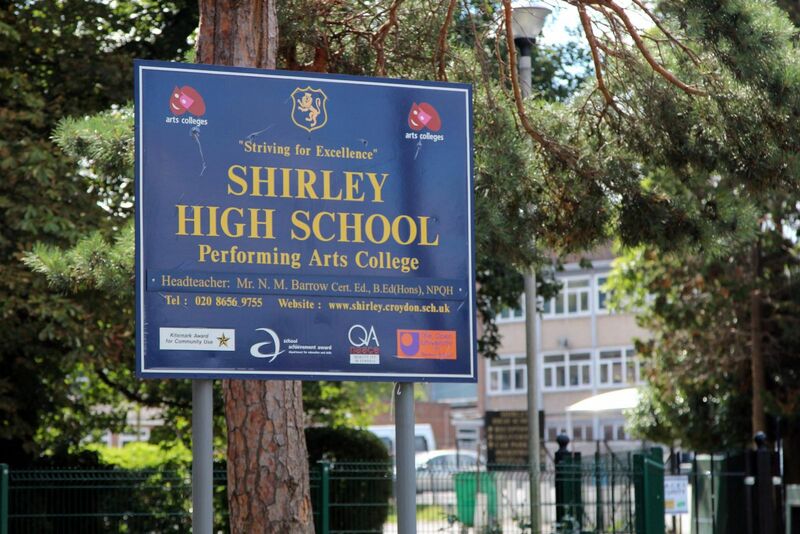 Shirley High school have started off small and are now progressing to taking over the grounds to an old caretaker’s house to be used by both the school and the local community in food growing, thanks to the enthusiasm and skills from a wide diversity of staff including an Assistant Head, Head of Food Tech and their Catering Manager. ACTIONS: Each member of staff has taken on different responsibilities to communicate the project more widely within the school community, talk to local businesses and organisations, work with pupils, staff and governors and help design what they would ultimately like to create. APPROACH: A cross-curricular approach is being taken to include all ages of pupils, abilities and subjects and for produce to be available in Food Tech lessons, the kitchens and for the local community. working with the pupils and involving other people from the school community in the project. Aerodrome Primary Academy provides a diverse variety of spaces that encourage their pupils to explore the outdoor environment through adventure, play, discovering wildlife and an upcoming food growing garden. ACTIONS: Recognizing the commitment which is required to look after and sustain a food growing project in a school, the school invited their parents to become involved. This resulted in a meeting involving teachers, governors, 12 parents and grandparents. RESULTS: A tour of the outdoors gave an opportunity to look at all possible locations for a food growing garden thinking about accessibility, light, water and the condition of the existing soil. The group’s brainstorming included question about how they were going to get more stakeholders involved, what kind of features they thought would be needed and where they could get resources to help create the food growing garden. The project was important to create another outdoor learning facility which would broaden the educational opportunities for both staff, children and parents and at the same time offer a community resource and facilitate cross cultural learning. FOLLOW – UP: From the lists generated by the brainstorm various people volunteered to contact local organization and businesses, communicating about the project to other parents and governors. A small sub-group specifically on gardening design was formed in ordeer to meet up further. FGSL CONTRIBUTION: Food Growing Schools: London facilitated the meeting which it was an opportunity to find out more about why the schools wanted to develop this project, how parents and staff could become involved and sharing ideas they may have. Lambeth Get Schools Growing (LGSG) is a borough wide school food growing competition, hosted by the Lambeth Food Flagship team. The Lambeth Food Flagship Programme vision is to help Lambeth residents to develop a love of healthy and sustainable food. Everyone will have the knowledge, passion and skills to grow, buy, cook and enjoy food with their family, friends and community. We will build on our famous markets, schools, community gardens and small food businesses to make Lambeth the go-to destination in London for diverse, healthy and exciting food. We invite schools to start growing as much and as varied produce as they can within their school grounds, to be showcased and judged at the Lambeth Country Show this summer. All you need to do is get growing, and record your progress (e.g. pictures, quotes, videos, storyboards) so we can see what fantastic things you are getting up to. We are also offering free training, support and resources around healthy eating and food growing. This support can range from ten minutes to a whole day – it’s up to you! All schools within the London Borough of Lambeth are invited to join. Good luck! The Mayor of London and Whole Kids Foundation have partnered to support edible garden projects in schools in the two Food Flagship boroughs. The application round closed on 4th December and a huge number of applications (74) were received. 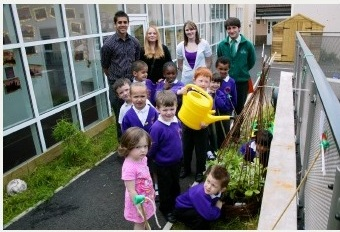 A total of 21 edible garden projects will be funded across the two boroughs, of which 12 are new and nine are existing. The partners are currently working with the schools on funding agreements and almost all projects will be finished by July 2016. Croydon’s Community Gardening Project: Croydon’s Community Gardening project, run by Garden Organic, is well underway. 16 participants have so far been trained as Master Gardeners, and Food Buddies will be recruited throughout January to provide further support. Aim is to increase access to food growing in the borough as well as implement food growing on prescription with the CCG and GP networks. The School Garden Grants programme – a partnership between the Mayor of London and Whole Kids Foundation – was launched in October and is offering edible garden grants to schools in the flagship boroughs. On 11th November 2015, the first Edible walking route in London was launched in Clapham Common. This is an exciting partnership between Incredible Edible Lambeth, Food Growing Schools London (Garden Organic) and Incredible Edible Todmorden and the aim of the route is to bring together those who are passionate about local food in and around Clapham Common including schools, Lambeth College, the Business Improvement District, and others. We are hoping to see this community-led initiative replicated in other areas.